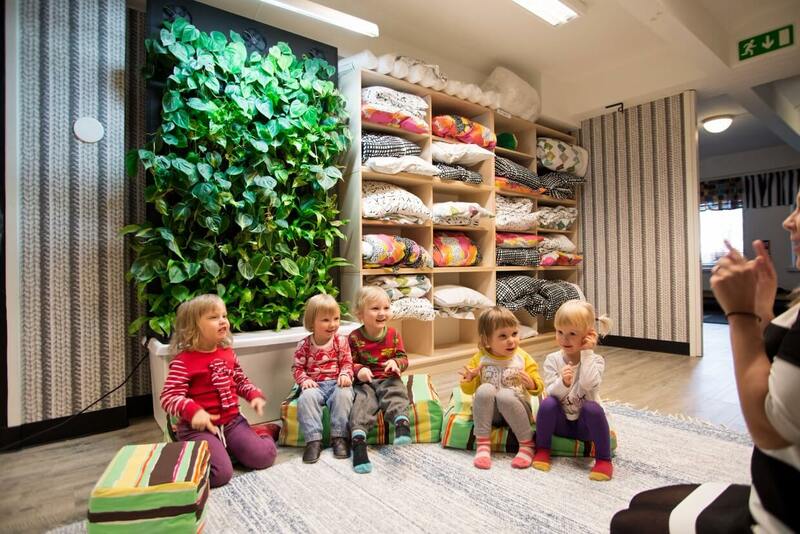 After having their premises renovated, the Finnish art and culture day care Kulmakartano, chose to bring in a hint of nature, and with the help of Naava they created a jungle for the children.“When it comes to the environment we raise our children in, it is important to offer the them an inspiring environment that encourages to an active lifestyle. Also, parents have many wishes and demands regarding the environment their children grow up in. 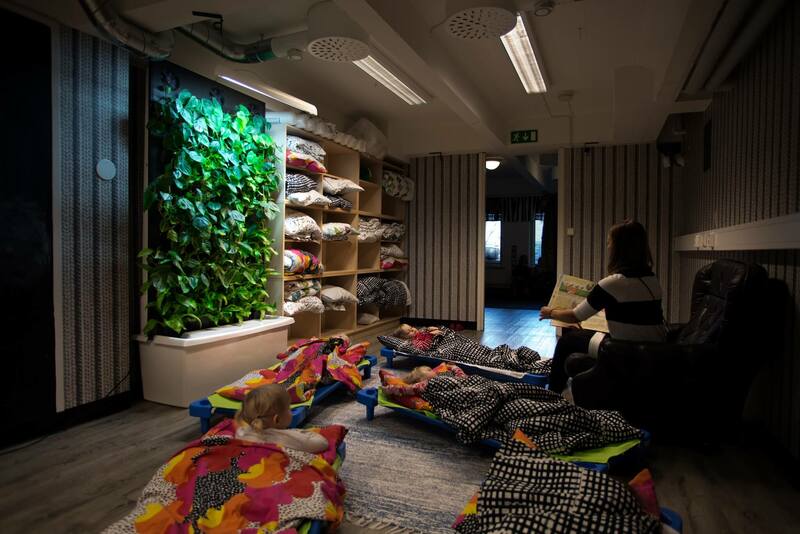 A high quality of indoor air and a connection to nature are two of them,” mentioned Tiina Lämsä, the CEO of the private day care. “In addition to the variety of activities at our day care, we also want to offer the children the best possible environment. For us, this is enabled by combining nature and an urban culture,” told Lämsä. An urban environment can also be child-friendly, if the children are taken into account in the city planning. Due to the long winters in Finland, children spend a major part of their days inside. This means that the warmth and comfort of the day care environment play an important part when the parents face the hard decision of choosing a day care for their children. “You can also have a lovely childhood in the city. 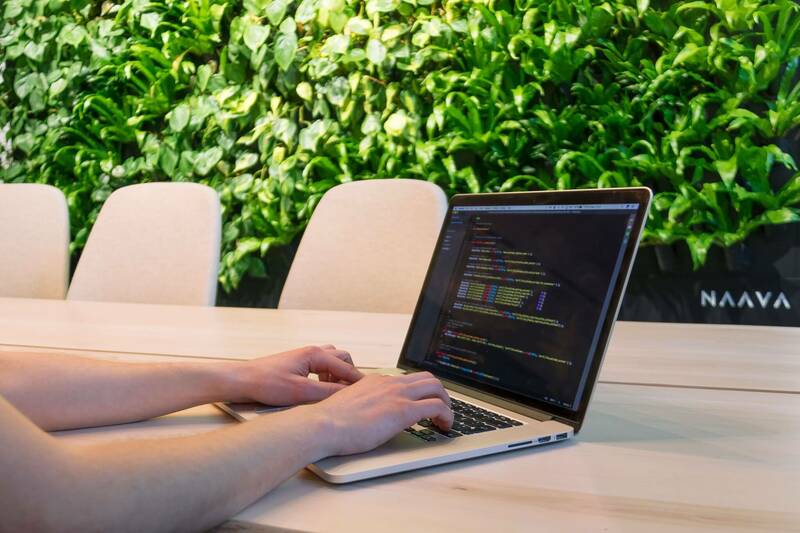 There are a variety of ways, in which we can connect to the nature,” says Lämsä. 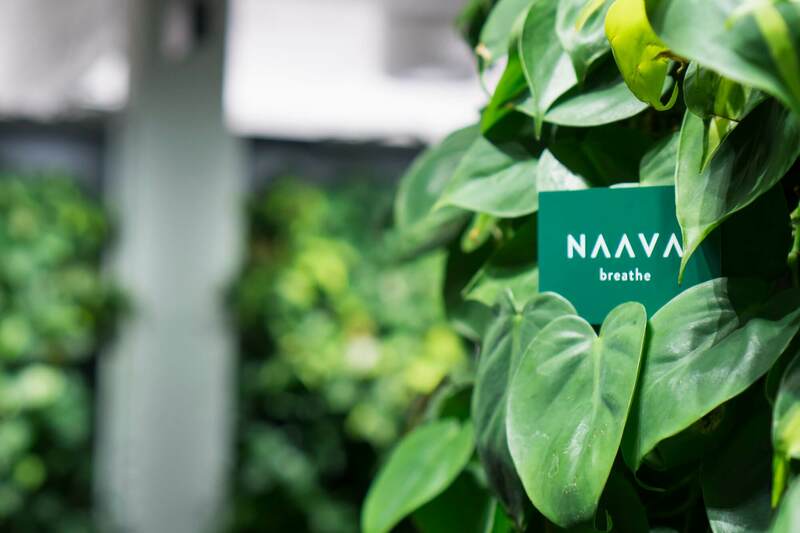 Naavas make the indoor air of the day care fresh and humidified, and add a touch of nature to the premises. The location of the Naavas are precisely thought out. The green walls are located in the napping area and playroom, which are the rooms the children spend most of their time in. The playroom has even now got a new name, the green room. Especially in the winter the advantages of Naava are significant. 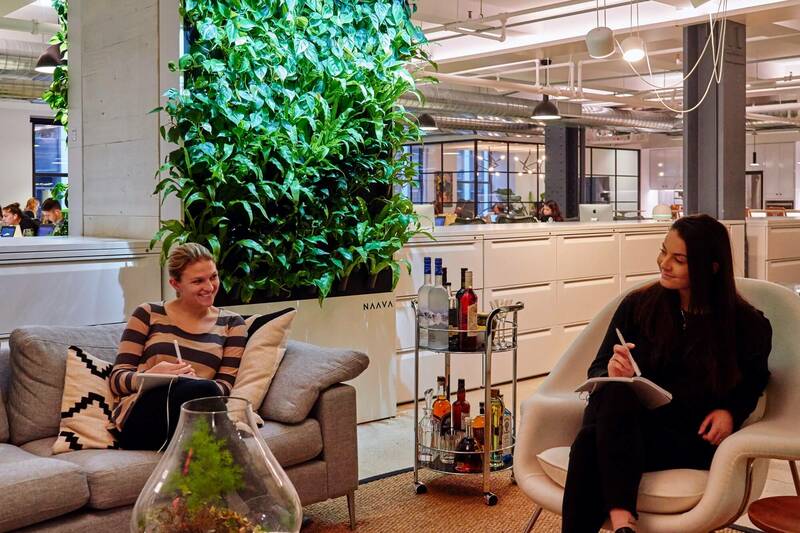 Artificial air-conditioning makes the indoor air very dry. Naavas offer a solution to this problem. 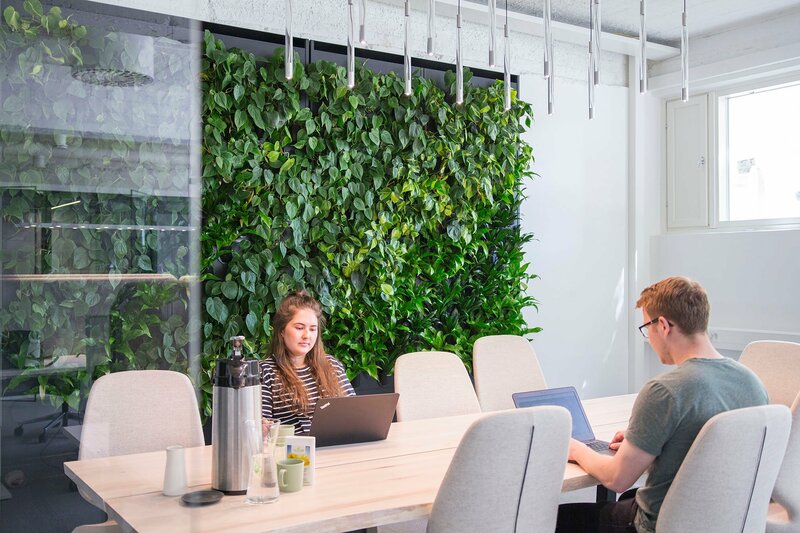 The air naturalizing smart green walls maintain the humidity of the indoor air. 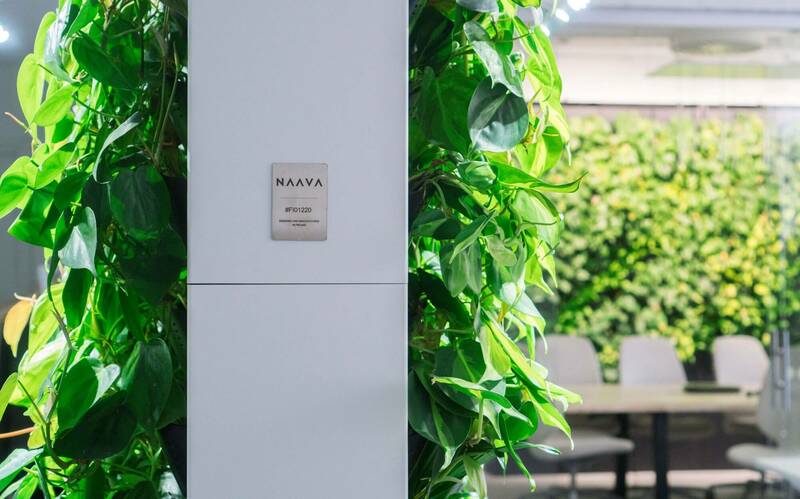 “For us, Naava is like a window to nature. 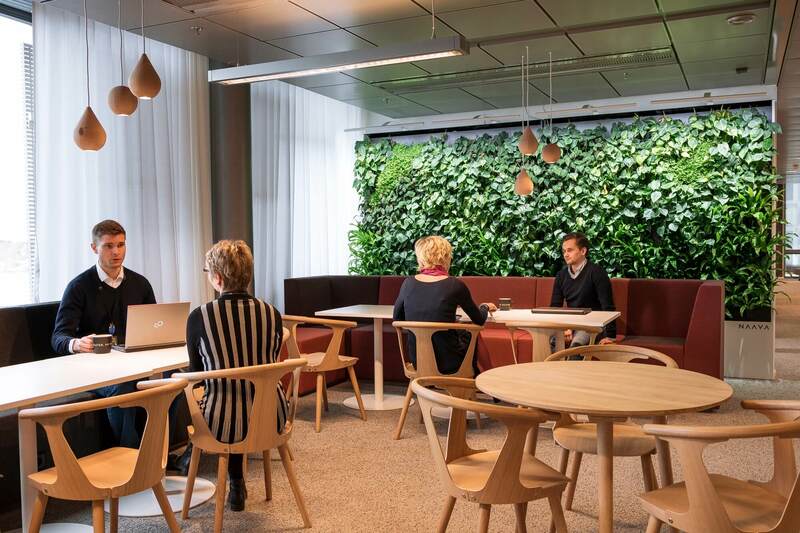 Both the children and staff enjoy the freshness and the greener premises,” adds Lämsä. How do Naava plants stay alive and kicking?